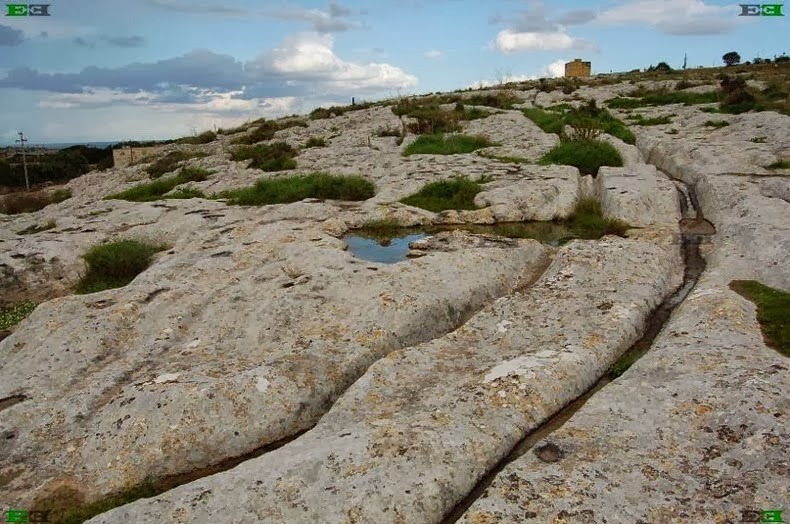 In a number of locations across the islands of Malta and Gozo in the Mediterranean sea are complex network of parallel tracks cut into the limestone rocks that are apparently man-made. They are called “cart ruts” because of their resemblance to tracks left by carts. The tracks are up to 60 cm deep and have an average distance of 110 to 140 cm between them. Some of the tracks cross each other while others branch out to form junctions creating an illusion of a great railway station switching yard. The age and purpose of the tracks are still a mystery, but it’s generally presumed the ruts formed around 2,000 BC after new settlers came over from Sicily to start the Bronze Age in Malta.